The death of Bin Laden ends an era in Islamic terrorism. Terrorism before Bin Laden was often state-sponsored terrorism but he was a terrorist who had sponsored a state ? Afghanistan. For five years (1996-2001) he paid for the protection of the Taliban. This bought him time and the freedom to make al Qaeda (?the base?) a multinational enterprise to export terror around the globe. In doing so, he waged his terrorist war using modern technology and methodology. His fatwas were emailed around the world, for example. In the 1980s, his involvement in fighting against the Soviets after they had invaded Afghanistan changed his life and his worldview. He saw the retreat of the Soviets from Afghanistan in 1989 as an affirmation of Islamic political power, which used jihad to topple superpowers! This caused him to then turn on the United States: He declared, ?I am confident that Muslims will be able to end the legend of the so-called superpower that is America.? Michael T. Kaufman of the New York Times writes that ?he built his own legend, modeling himself after the Prophet Muhammad, who in the 7th century led the Muslim people to rout the infidels, or nonbelievers, from North Africa and the Middle East. As the Koran had been revealed to Muhammad amid intense persecution, Bin Laden saw his own expulsions during the 1990s?from Saudi Arabia and then Sudan?an affirmation of himself as a ?chosen one.? In his vision, he would be the ?emir,? or prince, in a restoration of the khalifa, a political empire extending from Afghanistan across the globe.? Al Qaeda was the infrastructure of his dream. Through the 1990s, it evolved into a far-flung and loosely connected network of symbiotic relationships: Bin Laden gave affiliated terrorist groups money, training and expertise; they gave him operational cover and a furthering of his cause. Does his death mean the end of al Qaeda? As Eric Schmidt of the Times confirms, probably not: ? [his death] will not end the threat from an increasingly potent and self-reliant string of regional Qaeda affiliates in North Africa and Yemen or from a self-radicalized vanguard here at home.? As former President George Bush has argued, ? [His death] deprives al Qaeda of its core leader and the ideological cohesion that Bin Laden maintains.? But the al Qaeda that Bin Laden created is today a much different organization than the one he created [in the 1980s] and the one that he presided over on 9/11. It is much less hierarchical and more diffuse. But this appeared to be his plan from the start?a group of terrorist subsidiaries that could request ideological guidance or material support but were largely self-sustaining. In short, it is difficult to believe the al Qaeda will not remain a formidable terrorist threat?at least in the near future. That his luxurious compound was in Pakistan is revealing. In fact, his compound was not that far from Pakistan?s capital, Islamabad, and very near a facility closely linked to the Pakistani military. It defies credulity to believe that the Pakistani military was not aware of his presence. The reaction to his death across the Arab and Muslim world was predictable. But most telling to me was the reaction of Hamas. The top leader of Hamas in Gaza mourned Bin Laden as an ?Arab holy warrior?we condemn the assassination and the killing of an Arab holy warrior. . . We ask God to offer him mercy with the true believers and the martyrs.? This is the movement with which Israel is supposed to negotiate? This is the movement that Abbas of Fatah is supposed to accept as a partner for peace? One final comment: As a Christian, I believe it is appropriate to see Bin Laden?s death as justice. The fundamental principle of justice articulated in Scripture is talionic justice?the law of retribution. This principle of justice holds people accountable for their actions. What Osama Bin Laden ordered and funded on 9/11 was a dastardly act of mass murder. He was accountable for this barbaric act! Hence, whatever else may be said about his death, it was a just act. Finally, as a Christian I believe that I can declare that the moment Osama Bin Laden died, he knew that everything he believed, everything he had lived for, was a lie. He now knows that Islam is not true. He had lived his murderous life, constructing his horrific vision, for an ideal that was not true! He now knows that his life was an utter waste. What a tragedy! What in the world will he say when he stands before Almighty God at the Great White Throne? It will be too late for God?s grace and mercy. 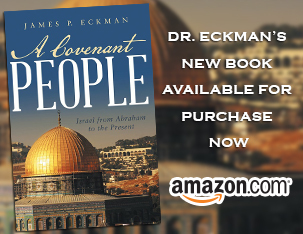 Dr. Eckman – you are spot on as always on your perspective on Osama Bin Laden. Thanks for all of your work, research, and thoughts. Log in | 36 queries. 0.061 seconds.